Credits: BAnQ Rouyn-Noranda, Joseph Hermann Bolduc funds, mine series. 08Y,P124,S32,D370-39-5. 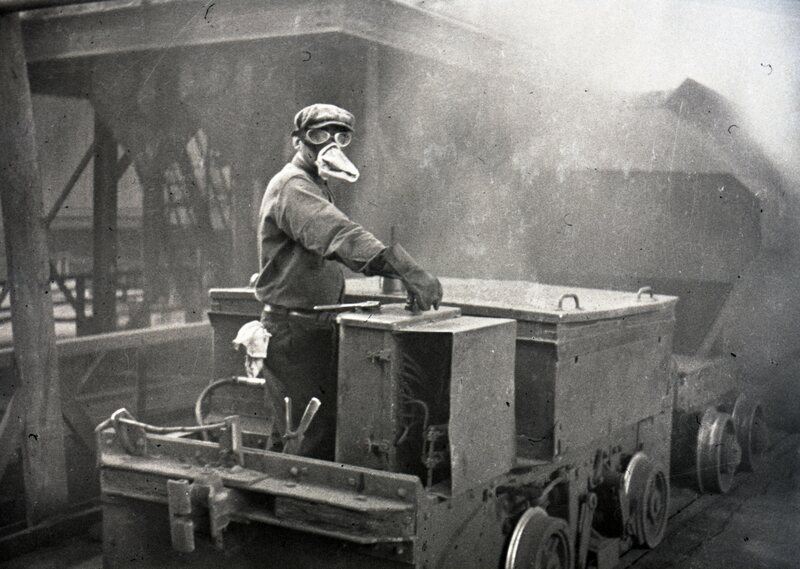 The significant environmental impacts of sulphur dioxide released during copper smelting were common knowledge even before the construction of the Horne mine. Proof of this is the fact that the Liberal government of Louis-Alexandre Taschereau amended the Mining Act of Québec so that the Noranda Company could avoid any prosecution for environmental damages caused by the smelter.